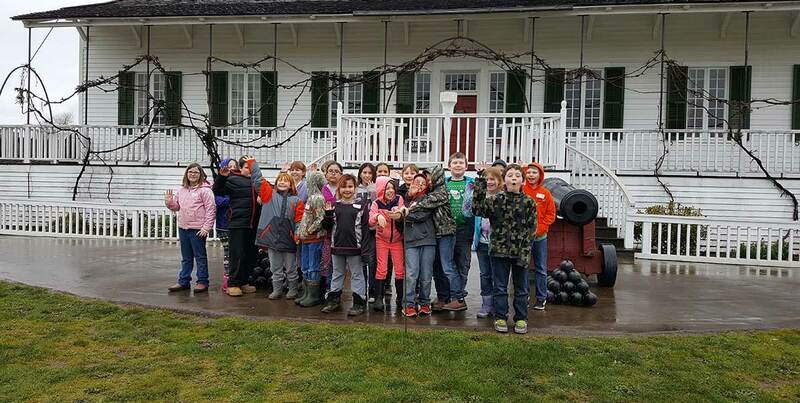 The third and fourth grade class got to travel to Fort Vancouver and The End of the Oregon Trail interpretive center as a great conclusion to our study of the Oregon Trail. Students had an opportunity to pack a wagon, make candles, and butter! At Fort Vancouver we got to see where John McLoughlin, The Father of Oregon, lived. This field trip had been postponed twice due to interesting winter weather, but it was well worth the wait. The students had a great time and got to experience hands-on Oregon History!